As True North Brew Co.’s debut food, drinks and craft market opens up shop on the Peace Gardens and Fargate next month, we thought we’d whet your appetite for the independent market that will have you trying all the very best this city has to offer. From locally-distilled gin, to makers you’re yet to discover, ‘A Taste of Independent Sheffield’ has plenty in store. Read on to find out what! And if you just can’t wait until 21-23 September to come around, make sure you’re up to date with the indie market (sponsored by Exposed Magazine and Vibe Quarterly) on Facebook, Twitter and Instagram for all the latest news. Kicking off from 5pm on Friday 21 September, the festival will be officially opened by none other than the city’s Lord Mayor (and all-round sound guy) Magid Magid. The True North Tent will also open on Friday, providing the best in gin and rum (it’ll have more than 100 different gins and rums, including local legends Sheffield Dry Gin, Sir Robin of Locksley Gin and O’Hara’s rum) and live music entertainment throughout the weekend. 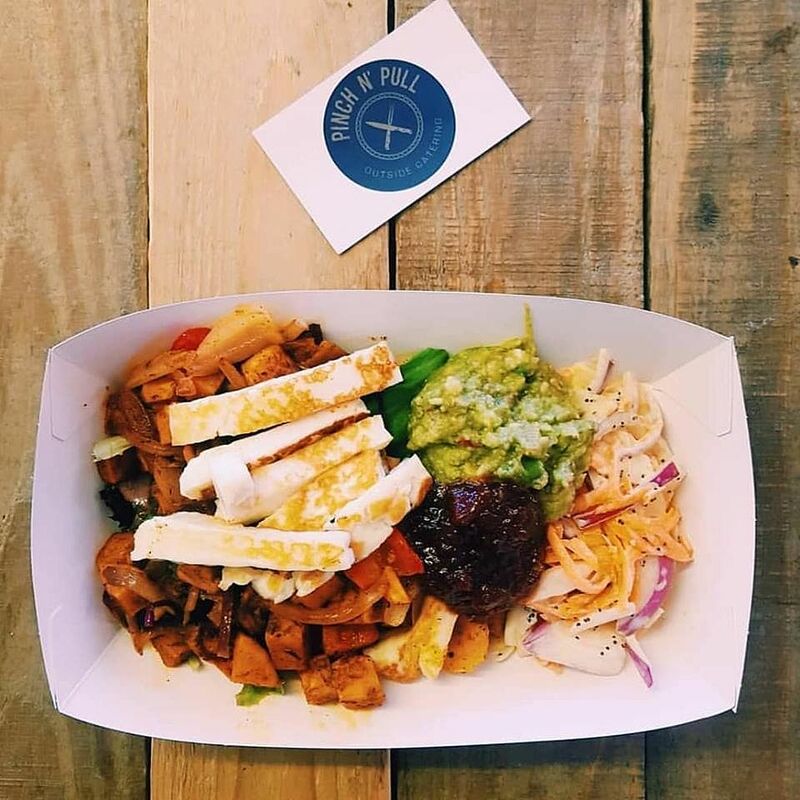 Sheffield local Pinch N’ Pull makes street food wraps packed full of flavour. Whether meat or meatless, it’s portable pockets of spice are bound to be a hit with Sheffield taste buds. Why not try its most popular dish, Mexican diced sweet potato with smashed avocado and home-made chutney? Using home-made organic dough and sauce, as well as locally-grown vegetables and herbs, The Sunshine Pizza Oven bakes (hand-stretched) pizzas a slice above the rest. 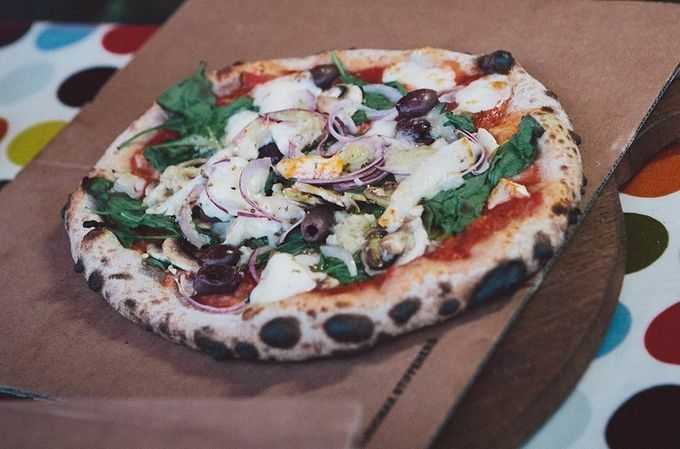 With gluten-free and vegan options, as well as continental meats and cheeses, the local business now in its fourth year will have you craving a pizza-them. Straight out of its kitchen right here in the city, Secret Cake Club supplies a handful of local cafes and tearooms with home-made greatness. Think luscious layer cakes, doorstep Belgian chocolate brownies, loaf cakes – you name it – it’s probably baked some. Family-run pie-makers Kevin’s Pies makes pies that win awards. Find plenty of them, handmade pastry included, as well as sausage rolls, quiches, tarts and of course, pork pies at its stall across the weekend. Serving up sweet and savoury French-style crêpes to the people of Sheffield, you’ll find The Yorkshire Crêpe Co cooking up Yorkshire-themed treats using locally-sourced ingredients at its stall. We’re particularly excited for the Little Mesters cheese with Bradfield Ale chutney one! Bringing authentic Sicilian street food to Sheffield’s streets, Signor Arancini makes deep-fried risotto balls using its recipe that stays true to its Italian roots. With drool-worthy fillings, you’ll want to try the traditional dish, if not only for ‘research purposes’, but also because they’re so damn delicious! Offering fresh ‘bean to cup’ coffee to the people of Sheffield since 2005, Café Carte will be back, serving only the best coffees, hot chocolates, teas and cold drinks to fuel your market marches. With loads more stalls to add to the mix, including Beaumont Bags, as well as plenty of crafts and other local retailers, stay tuned to see your favourite local traders take their places at the city’s new independent market. If you’re a trader or artist and you wish to get involved, contact Julie Wilson at just.jules@ymail.com (for stalls enquiries), Lewis Evans at lewis@truenorthbrewco.uk (for entertainment enquiries) or Amber Carnegie at marketing@truenorthbrewco.uk (for marketing enquiries).